Here is a little kitchen gadget that is sure to turn some heads. 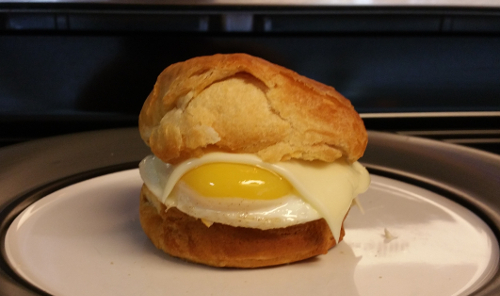 I have always wanted to try to make some breakfast sandwiches at home for my wife and kids, but how could I make those perfect eggs like they make in the restaurants? Well I went off on a little hunt and found this little guy in a local Bed Bath and Beyond. The Joie Roundy Egg Ring was under five dollars so I figured I would give it a shot. I couldn't have made a better investment . 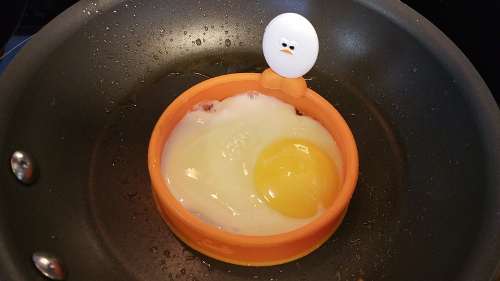 This little silicone egg ring makes some perfect looking and tasting eggs and who doesn't love the little egg smiling at you while you are cooking? 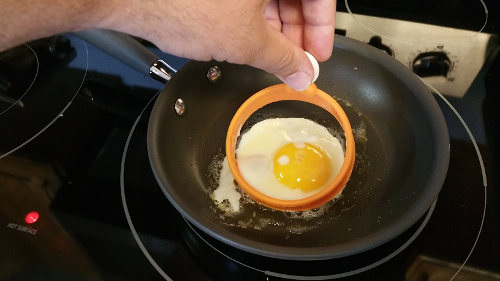 The silicone is great because it doesn't scratch your pans or stick to your eggs. It washes easily and is easy to store just about anywhere. Best of all I made my wife happy by giving her restaurant style breakfast at home. You know what they say, happy wife happy life! We really loved this little gizmo. We used a small amount of butter to get the eggs not to stick to the pan and started to cook. Check out our first shot at a sausage egg and cheese Muffin. 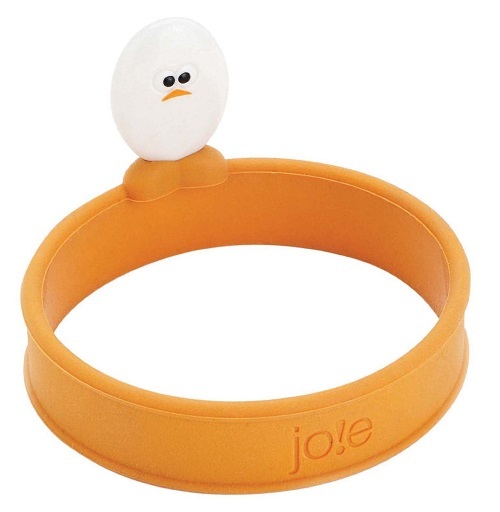 Get your very own Joie Roundy Egg Ring on amazon . One significant problem with this design is the fixed tab on the ring edge. This makes it difficult to turn the ring over without removing the partially cooked egg. 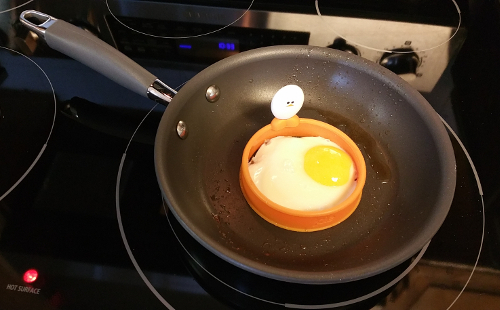 It also makes it difficult to put a lid over the ring to poach the top of the egg. Anyone have suggestions how to address these issues?